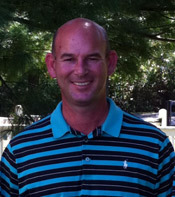 Mike has been a teaching pro, expert club fitter, and club maker since 1997, which is the year I began to play golf. 2014 was the year I finally reached out for professional help with my golf swing and golf game. I am fortunate to have a friend and client in Mike Pulliam, who also happens to be a great teaching golf pro out at Man O’ War Golf. Together, we are breaking down the multitude of bad habits and bad muscle memory and building an actual golf swing to replace the contorted, disjointed go-go dance that my prior swing had become. With each new lesson, a new part of my body aches. But if they can put a man on the Moon and rebuild the Six Million Dollar Man, surely they have the technology to help me build a better, faster, stronger golf swing. Below is my collection of columns that update my progression from weekend duffer to amateur golfer. A lot of what I’m hearing and learning in my lessons is familiar and fresh in my mind since I just re-read Harvey Penick’s Little Red Book. The 4th Lesson – Keep my foot down – a little swing thought medicine that seems to keep everything else in place. The 5th Lesson – A Flat Wrist – a complex problem that’s equal parts physical and mental, and a Band-Aid for the short term. The 6th Lesson – Abandoning my High Handed Habits – fine tuning the remaining things that need to be changed. The 7th Lesson – Swing Path, scared straight – some remedial work on getting my swing on path and on plane. The 8th Lesson – Transitioning to the short game – the beginnings of building a foundation of a solid short game. The 9th Lesson – correcting the overcorrections – making small adjustments now that the hard work has been completed. Winter Golf Lessons – Part I – figuring out what I need to figure out. Winter Golf Lessons – Part II Muscle Memory – what’s leftover after some time away from the game. A More Satisfying Way to Putt – stop playing too much break and leaving it short. Elusive Glory – How Hitting a Fade helps me Compress the Golf Ball consistently. 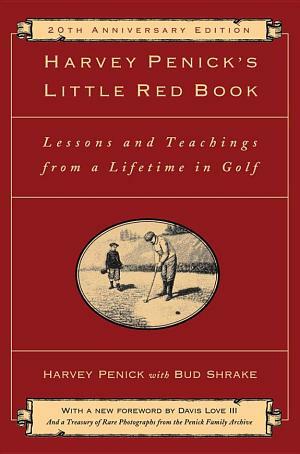 Gee that little red book sure brings back some memories, I read that gem 20 years ago and based most of my golf on it. Simple stuff, a good read for all.